However, wouldn't you like to find a way to prolong their durability and life, as well as keep them looking brand new for long? 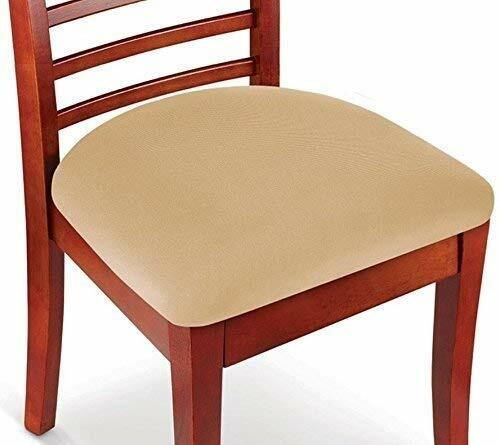 Whether you own round, square or oblong shaped chairs and stools, these seat covers are the perfect choice for you! Just make sure that they feature a diameter of 15 to 21''. IDEAL FOR ANY CHAIR AND BAR STOOL: These protective seat covers feature a universal design which provides you with countless possibilities! They are the perfect choice for dining, office, computer, patio, round or square chairs that feature a 15 to 21'' diameter. Make them yours now and use them at home, at work, in classrooms, at restaurants and anywhere you like! You name it! If you have any questions about this product by KLEEGER, contact us by completing and submitting the form below. If you are looking for a specif part number, please include it with your message.